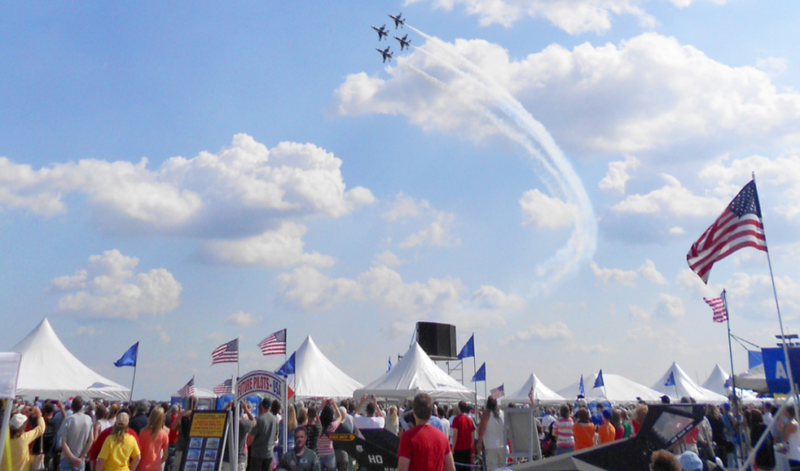 3 Important Planning Tips for Rockford AirFest 2014! Throughout the next few days folks in the Rockford Region will hear more airplane engines than normal with the exciting return of Rockford AirFest 2014 happening this June 7th & 8th! People will point to the sky and gawk if hanging out in the right place at the right time as professional performers fly into town and practice "in" their mighty stage...the sky! I&apos;ve attended this event multiple times in the past and each year it far exceeded my expectations. Here are a few recommendations that I suggest prior to attending this widely anticipated event! 2. PLAN YOUR AGENDA: There are tons of performances happening over a duration of two days and you have two options. 1) You can plan out the things you know you won&apos;t want to miss or 2) You can plan to be at AirFest all day, every day. Lets be real, option 2) is the better option but probably not the most realistic for some so be sure to click HERE for the schedule of events for both days. 3. HAVE FUN AND MAKE MEMORIES: This event is fun for the entire family to enjoy, not just this coming weekend but for years to come! If you&apos;ve never attended an air show before, please do yourself a favor and watch highlights from the Rockford AirFest 2010! The powerful stunts these pilots can do will leave you jaw-dropped and excited to come back next year! If you haven&apos;t received your Rockford AirFest 2014 admission tickets yet be sure to tune in to the WIFR Morning Blend with Andy and Aaron tomorrow morning at 9:00 a.m. for a chance to win! One ticket is good for one full carload, you can also purchase tickets on the day of the event. For more information on this event and others happening around the Rockford Region please visit gorockford.com.